Johann Georg Lickl (1769–1843) was born not far from Vienna, where he studied with Haydn and Albrechtsberger. He also spent the first part of his career there, as an organist and composer of music for the theatre and the church. In 1805 he took up the post of regens chori in Fünfkirchen (now Pécs in Hungary) and stayed there for the rest of his life. 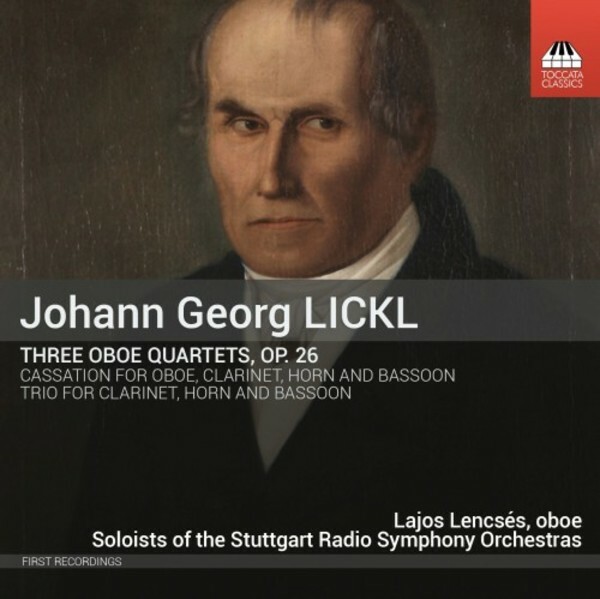 The Cassation for winds on this recording was once thought to have been written by Mozart, which gives some indication of the quality of Lickl’s work and suggests that further exploration of his large output is overdue. This first recording dedicated to his elegant and spirited music is a step in that direction.